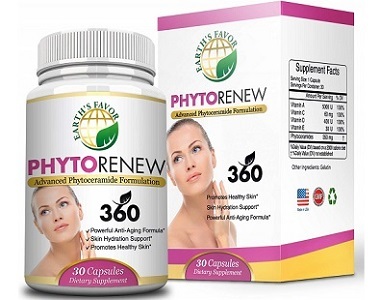 Today we review Earth’s Favor PhytoRenew. This product aims to restore ceramides which are naturally lost over time as your skin ages. These molecules help to keep your skin healthy, plump and hydrated and ultimately improved complexion. This product works from within to build up new stronger and more radiant skin cells that ultimately replace broken-down skin cells. If you want to improve the texture and quality of your skin and you are curious about the product, read the rest of our review below. 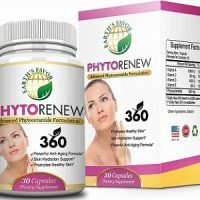 What’s in Earth’s Favor PhytoRenew? 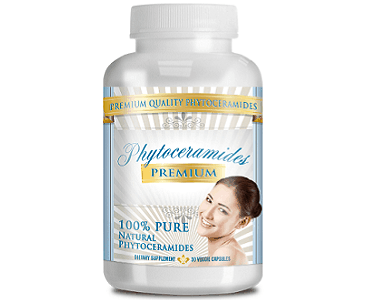 Phytoceramides – Helps in the production of collagen and hydrates skin cells for an added glow. Vitamin A – Helps to fight off inflammation and is a source of antioxidants. Vitamin C – Aids the production of collagen and also prevents and treats UV induced photodamage. Vitamin D – Help to promote cell growth and to repair damaged skin cells and destroys free radicals. Vitamin E – Reduces wrinkles, fights off free radicals and is a great source of antioxidants. How Do You Use Earth’s Favor PhytoRenew? It is recommended that you take 1 capsule a day but unfortunately there are no further stipulations given. We do not know what time of day would be best to take this supplement and if you should take it with or without meals for maximal effects. If you are pregnant, nursing or suffering from a serious medical condition it is best to speak to your healthcare provider before taking this product. Usually this product is available at most 3rd party retailers, but we are unable to find the price for it on Amazon because it is currently sold out. Without this information it is impossible to determine the affordability of this product and if it will be worthwhile to buy. We also do not know if there are any discounts related to bulk purchases or not. This product does come with a 90-day guarantee policy, however, this policy is also not clearly laid out. This general lack of stipulation makes it very hard to determine if the customer would really be financially covered when buying this product. We do not know in what condition you have to send the product back to receive your refund, and we also do not know if you will be held liable for a restocking fee if your product has already been used. Most of the customer reviews regarding this product are very positive, however we did stumble upon some negative reviews as well. These unhappy customers state that the product does not work and that they could see no change in their complexion. We like that this product aims to replenish and restore your skin naturally whilst trying to slow down the process of aging. However, the lack of solid stipulations when it comes to the guarantee policy and dosage instructions make it very hard for customers to get the full picture of this product. The lack of a price also makes as questions if this product can really be taken seriously.